Community health program involves health workers from the community as first line of defence against most health-related problems in the villages. These community health workers keep track of overall health of village, especially children under 3 yrs of age and pregnant women, are trained to deliver medicine for common illnesses and keep in constant touch with the medical staff. The goal of TRU's community mental health program is to work with people suffering from mental illnesses along with their caregivers rehabilitate the people back in their communities. TRU also runs Manas Day Care center for children suffering from mental disorders. They regularly host caregivers meet and works to reduce stigma in the larger community about mental illnesses and disorders. 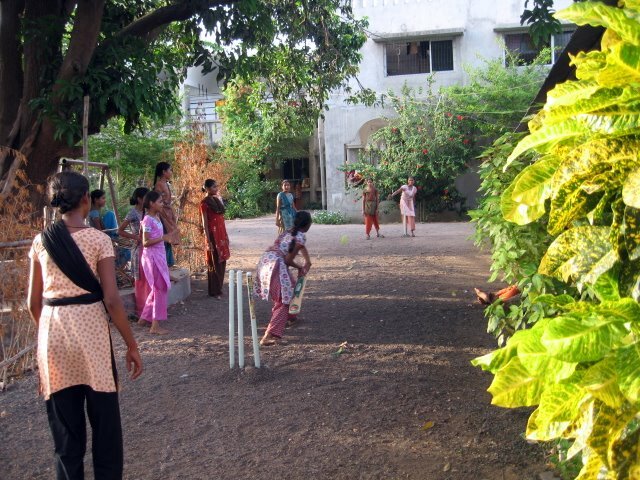 To ensure high school education for girls in tribal district of Panchmahals in Gujarat, TRU runs a girls' hostel that is situated next door to the high school that the girls attend. About 120 tribal girls stay at this hostel, get well-rounded supplementary education, and live their school years unbounded by household responsibilities that would otherwise hold them back in their studies.